Based on History’s series SIX, the action-packed sequel to SIX: Blood Brothers. 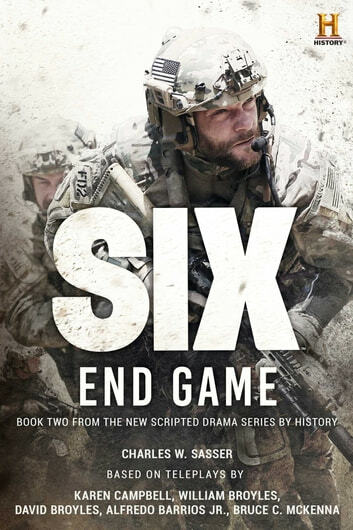 In this thrilling follow-up to SIX: Blood Brothers, the elite unit known as SEAL Team Six arrives at an abandoned village in Nigeria mere minutes too late to rescue former team leader Senior Chief Richard Rip” Taggart. What they find instead are a group of battle-hardened Chechen fighters and a lot of dead Boko Haram. After a deadly firefight, they’re left only with the knowledge that they are running out of time to find out who now has Rip so they can bring him home. Meanwhile, Rip’s new captor, the enigmatic terrorist lieutenant Michael Nasry, is intent on using the former SEAL for his own ends. And he’ll do whatever it takes to get Rip to cooperate. 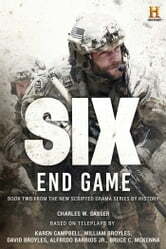 But this new terrorist threat isn’t the only thing that the warriors of SEAL Team Six have to contend with; each man has his own personal demons, and sometimes the difference between right and wrong isn’t as clear as they might like.